What’s that purple flower vine? 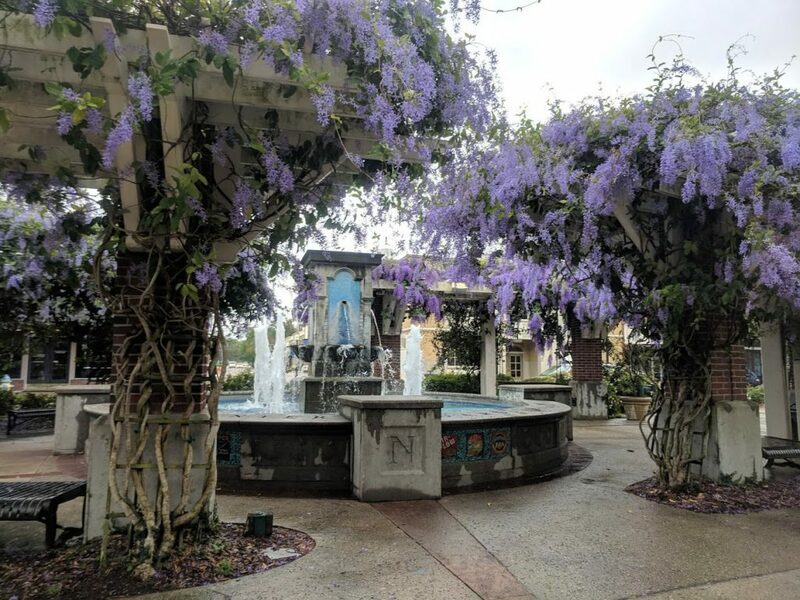 On our recent trip to Florida I was literally stopped in my tracks by this purple flower vine in Winter Garden. 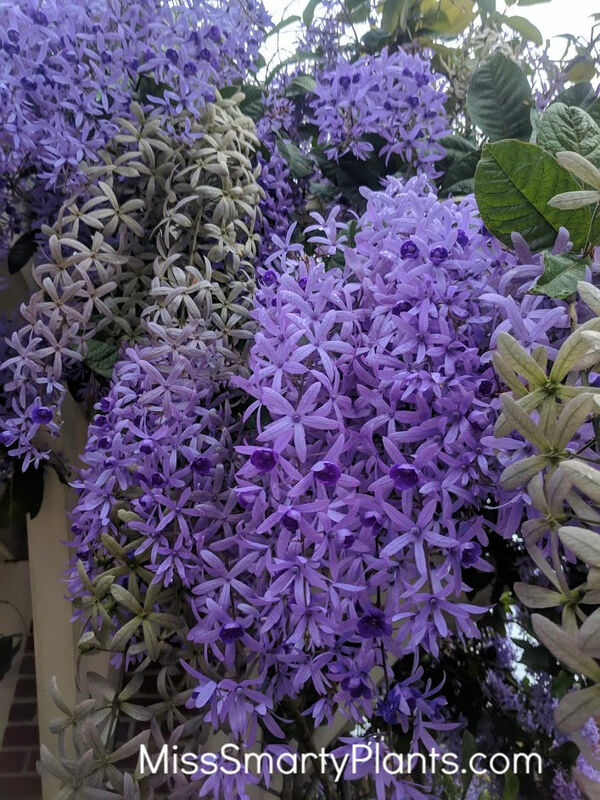 I’ve been familiar with Petrea volubilis, or Queen’s Wreath Vine, but I’ve never seen it like this. 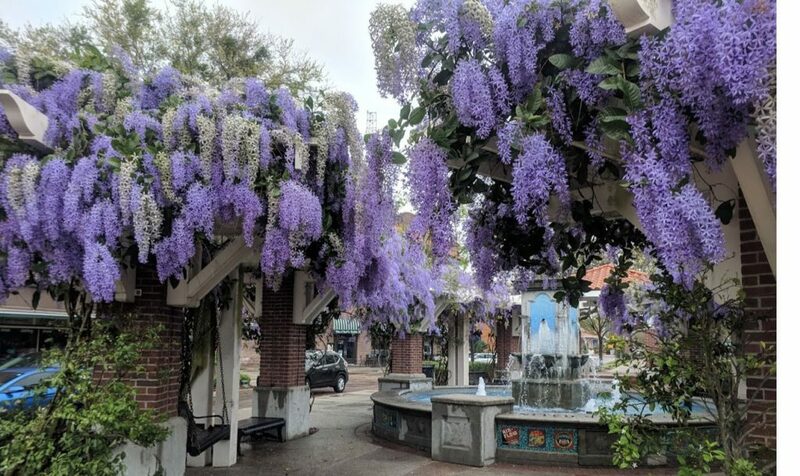 Driving down Plant Street in Winter Garden, there is always something beautiful to see. This town does a great job of maintaining and growing their green space for residents and tourists to enjoy. But this. This was too much for me! 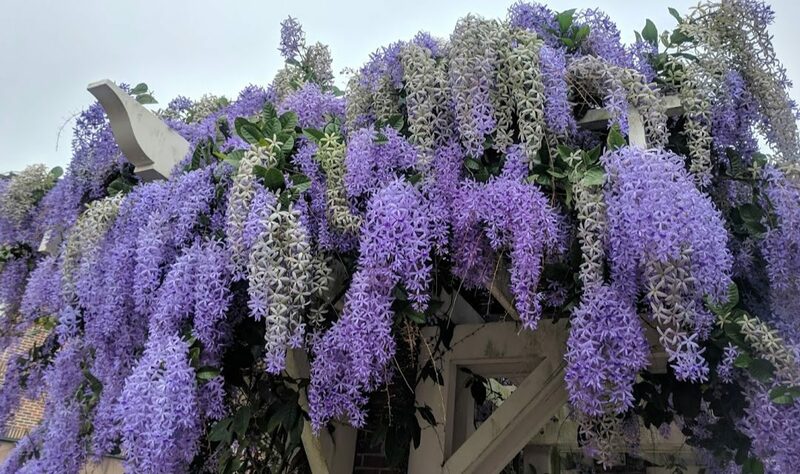 The purple flowers were dripping off of the trellis. 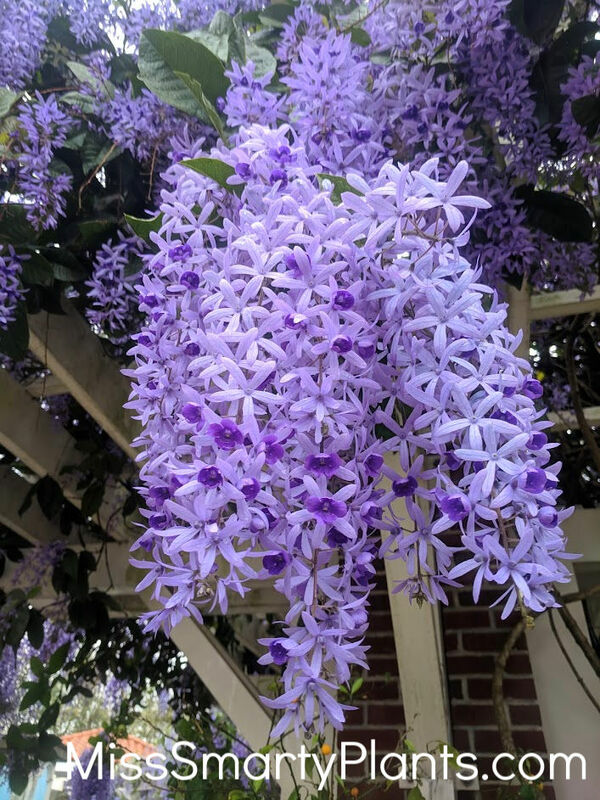 Petrea volubilis is sometimes called “Florida Wisteria” and it is easy to see why. Wow. I can’t tell you how many people I heard talking about this plant. How often do plants get this kind of attention? This “mystery” purple flower vine was stealing the show in mid March and deservedly so. Want to grow this in your garden? Patience is important! It takes 2-3 years to become well established and deliver the flower show you are looking for. Queen’s wreath vine is also available in a white variety but, let’s be honest here, it doesn’t stand up to this purple beauty! According to the University of Florida, “This vine is described as being “variably deciduous,” meaning leaf drop depends on the climate and weather in your specific area. Some plants may drop all leaves during the winter while others only drop some.